Headline indices of the Japan share market were down on Friday, 20 July 2018, on tracking weak cues from Wall Street overnight amid U.S. President Donald Trump's criticism of the Federal Reserve and the latest flare up in trade tensions with the United States after the China central bank set its reference rate to lowest in a year. Meanwhile, yen appreciation against greenback also fuelled selloff. Among TSE33 issues, 27 issues declined, while 6 inclined, with shares of Nonferrous Metals, Iron & Steel, Marine Transportation, Insurance, Securities & Commodities Futures, and Machinery issues being notable losers, while Air Transportation, Foods, and Electric Power & Gas issues were notable gainers. 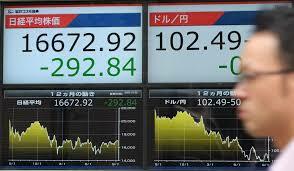 Around late afternoon, the benchmark Nikkei 225 index declined 0.6%, or 2135.81 points, to 22,628.87. The broader Topix index of all First Section issues on the Tokyo Stock Exchange, meanwhile, fell 0.5%, or 8.28 points, to 1,741.31. Shares of steel makers, non-ferrous metal companies and shippers - the regular victims of trade war worries - were key drag on the benchmark index. Kobe Steel dropped after the company was indicted by prosecutors over a data tampering scandal that shook the company last year. Semi-conductor related shares came under pressure after Taiwan's TSMC, the world's largest contract chipmaker, trimmed its annual revenue and capital spending estimates on bleak demand from smartphone and cryptocurrency mining industries. Tokyo Electron and Sumco both fell as much as 3%.  CURRENCY NEWS: The Japanese yen appreciated against U.S. dollar on Friday, as safe heaven demand resumed after US President Donald Trump expressed concern about the currency's strength and the Federal Reserve's interest rate increases. Against the Japanese yen, the dollar recouped some of its losses after dropping as low as 112.05 yen from a six-month high of 113.18 yen on Thursday. It was down 0.1% on the day at 112.38 yen on Friday.